Is it a blockchain or is it a DLT? In various discussions I often hear people saying “But that’s not blockchain! That’s DLT!”. This sounds like blockchain and DLT would be two totally different things, while in fact, blockchain is a specific implementation of a DLT. What most people actually mean is something like this: “But that’s not public, unpermissioned and egalitarian! That’s private, permissioned and authoritarian!”. private / public – connectivity to the network. E.g. : are nodes accesible via Internet or Intranet? Can anyone join or is it limited to a closed user group? permissioned / unpermissioned – access regulation. Do I need a permission/invitation to join the network? egalitarian / authoritarian – are all participants (potentially) equal in their rights? Public unpermissioned egalitarian – The participant doesn’t have to ask someone for permission to join. He can create an account (private/public key pair) by himself and he can immediately start to use the network via Internet. Every participant in the network has the same rights (but not necessarily the same means). 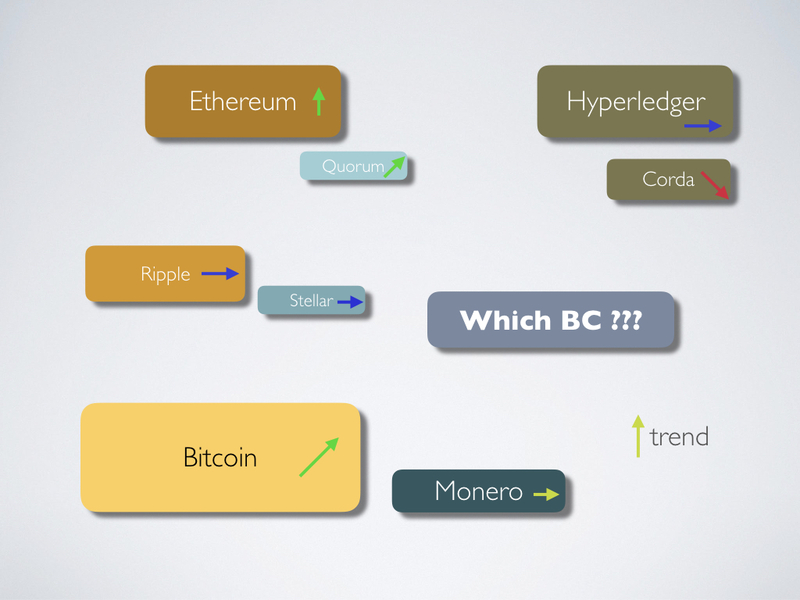 Typical representants of this category are Bitcoin and Ethereum. Private permissioned authoritarian – The participant needs a permission or an invitation to join the network. There are authorities, which grant/revoke the rights. The network is private and/or the connection to it is regulated (firewals, whitelists, VPN, …). Typical representants are Hyperledger Fabric and Corda. How about the other 6 categories? Of what use could they be? Let me try to describe the public one first, since the private variants are a narrower version of it. Public permissioned egalitarian -the participant needs a permission to join the network, but as soon as he joined, he has the same rights as other participants. For instance an invite-only social network. Public permissioned authoritarian – the network is open to everyone, but the onboarding and transaction validation is done by the network authorities. Example for this are Ripple, Tobalaba Test Network, and Infrachain (maybe?). What I also could imagine is to have for instance a Europe-wide Proof of Authority Ethereum network. Let’s call this theoretical construct Eurochain. In Eurochain each government has a sealing node and is onboarding its citizents after checking their identity. Public unpermissioned authoritarian – Same as above but with the difference that participants can join without asking for a permission. Private permissioned egalitarian – this seems weird at first, but if you put it in the context of an extranet (see CredNet for example, which is the network connecting all German saving banks (Sparkassen)), it starts to make sense again. However, I have not observed one yet. Private unpermissioned authoritarian – a narrower variant of the public one. For instance if the theoretical Eurochain is not intended to be used by the citizens but only for the communication between governments themselves. Private unpermissioned egalitarian – more open variant of the permissioned one.